Since finishing the Nike Women’s half I have not planned to run any more race while pregnant. This has dramatically effected the amount of miles I have been logging. Even though I enter the virtual marathon, which is to run 26.2 in the month of May, I am lacking the motivation to run! I have been on a few walks once I get home from work but between the weather and pure exhaustion I have not been very motivated. I have only logged 6.9 miles so far this month and it is already the 10th! To complete my 26.2 I need to get moving!! After last months 73.4 I thought trying to get to 26.2 would be a walk in the park- wow have I been wrong. I contribute this to the issue of I have no race planned. I have already started thinking about races after baby #2 and have signed up for one! It is not a serious race, but it will be something to slowly train for and help me get back on my feet– The Run or Dye 5k in Dover. At this point a handful of us are all doing it and I’m look forward to the fun and fitness the day will offer! It will only be about 4 1/2 weeks after I have baby #2 but the race is not timed and really is just for fun! I have also picked out my first serious race to complete after baby #2, also in Dover. In October they have a marathon and half marathon- I obviously plan to run the half because I am only half crazy! I have not officially signed up yet. I feel more comfortable waiting to make sure everything goes as planned with #2 and my life is not to extremely crazy before I start paying for races that I not ready for. I am glad to have a goal race ahead of me- I may end up changing my mind and try to find a shorter distance to be a goal race but at least I have my eyes set on something. 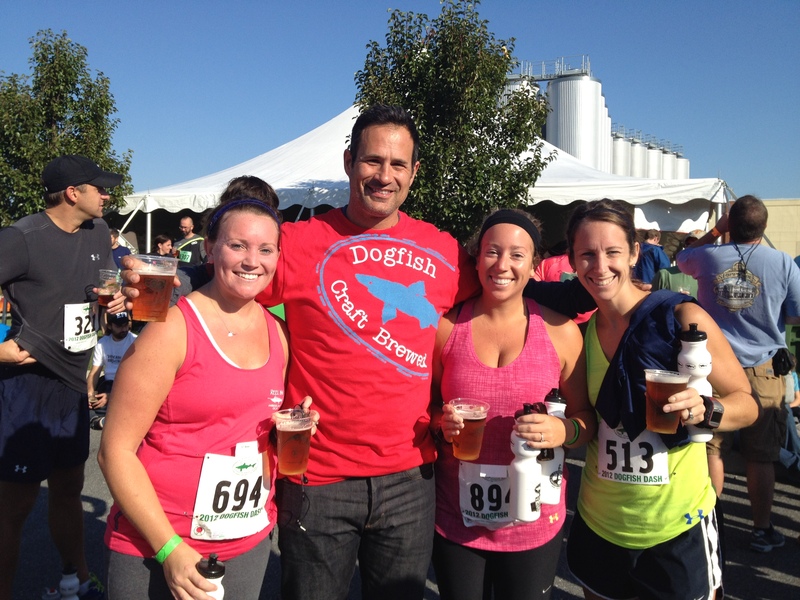 My original goal was the Dogfish Dash 10k- It was my first post baby race last year and it was a blast. I was not able to register for it this year due to the fact that is sold out so quickly. I am still keeping my fingers crossed will somehow be able to get into the race for this year but only time will tell. Until then I need to get at least 20 more miles in this month!!! One goal at a time!